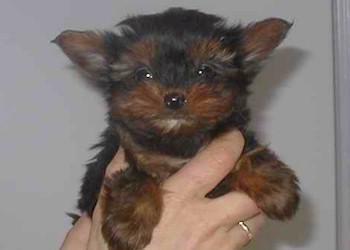 The Yorkshire Terrier is one of the most spread out miniature dogs around the world. He is a good companion, but also a popular show dog. Therefore it is very important that you choose a good breeder if you want to has a thoroughbred. With his strong personality he fits in everywhere. Nevertheless, this classy dog needs a good education. It is a very pending dog with a vivid character. A daily treatment of the fur is necessary with the York. Show dogs require even more care.